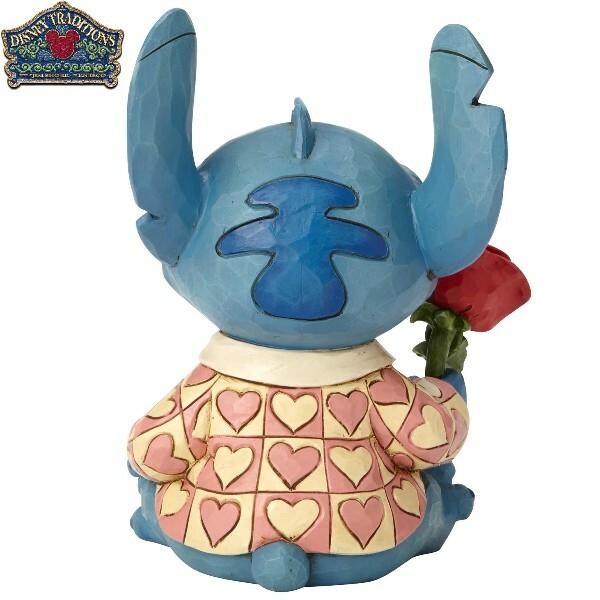 Disney Traditions Lilo and Stitch, Stitch Valentine Clueless Casanova Statue. For Valentine's Day, Stitch has fully transformed into a model citizen that Lilo would be proud of! In this adorable Disney Traditions piece, Stitch wears a pink and white, heart-patterned shirt decorated with folk art motifs designed by internationally renowned folk artist, Jim Shore. He offers a blooming, red rose in one hand, sincerely hopeful that he has mastered his lessons in charm. 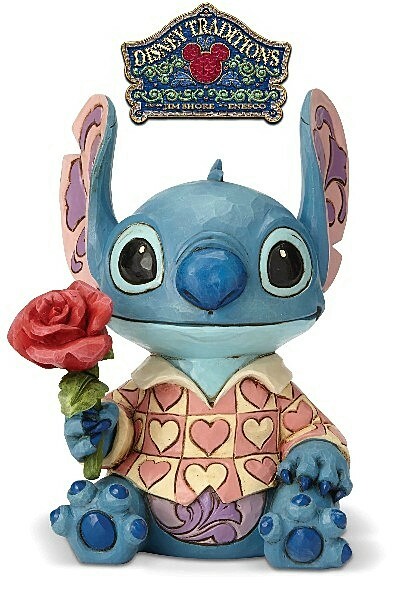 With his irresistibly cute face, Stitch makes a great gift for your Ohana on Valentine's Day and any day of the year. The Dimensions of this Statue are 6.1 Inches Tall by 3.94 Inches Wide by 4.33 Inches Deep.